Rugbytots fun, structured play sessions take children on a journey of sporting imagination with engaging and energetic coaches supporting them every step of the way, whilst teaching them how to catch, pass, kick, run with the ball and play as part of a team. Free taster sessions, subject to availability. 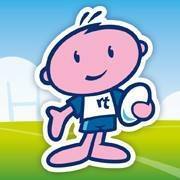 For more details, email [email protected], tel 0345 313 3255, website, www.rugbytots.co.uk.